This is one of my newest creations. It was love at first sight when I saw strawberry quartz. I knew that both strawberry and cherry quartz are being manmade. I made sure I went to a very trusted vendor and asked lots of questions. What you see here is natural strawberry quartz which happens to be beautiful! 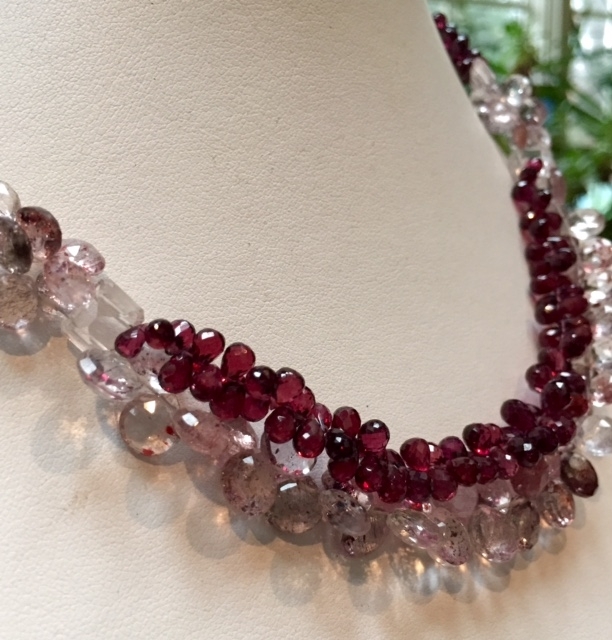 Flecks of red and black inside gives these beads a deep pink hue. 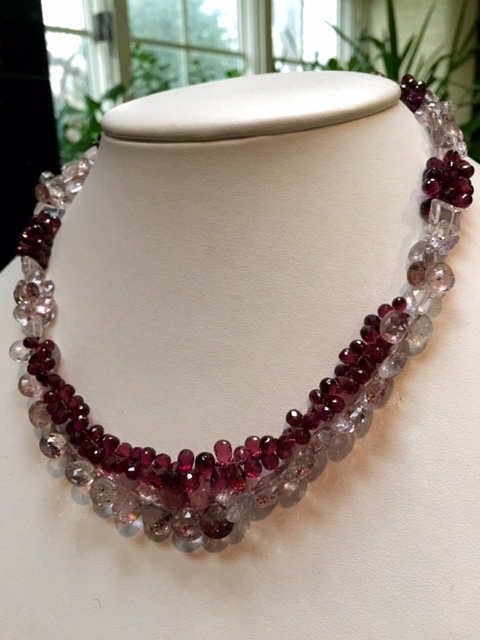 I chose Rhodolite garnet for their rose pink to red color to compliment. Two sets of double drilled rose quartz emerald cuts hold the two strands together with a 14k yellow gold clasp.